The complex relationships between information technology investments and business value have been the focus of intensive research in recent years. There appears to be a discernible trend toward a more nuanced view in which the differential effects of the various categories of IT capital such as hardware, software, and their interactions with organizational factors are systematically investigated.  As well, there is emerging evidence of accelerating investments in software and a greater shift toward “softwarization” (Langdon 2003) in which value addition is linked to combining flexible software with increasingly commoditized hardware. In this paper, we focus on the differential contributions of hardware and software capital and their interactions with labor capital. We use industry-level data to extend previous studies in three ways: (1) by using more recent data (1990 to 2002), (2) by focusing on IT-using industries in the private sector, and (3) by treating IT hardware and IT software as two distinct classes of IT capital. We adopt the commonly used log-linear Cobb Douglas production function approach. 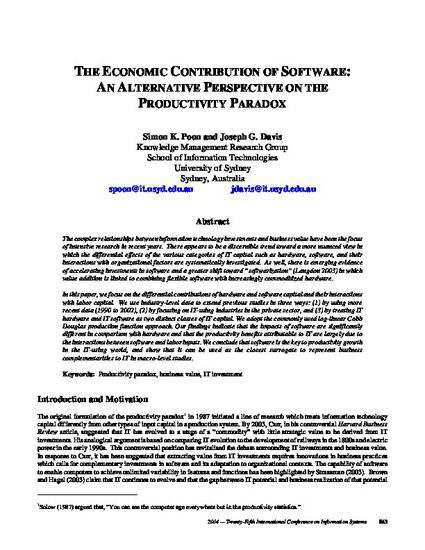 Our findings indicate that the impacts of software are significantly different in comparison with hardware and that the productivity benefits attributable to IT are largely due to the interactions between software and labor inputs. We conclude that software is the key to productivity growth in the IT-using world, and show that it can be used as the closest surrogate to represent business complementarities to IT in macro-level studies.